He has written a masterful biography, rich in enlivened critical detail, which more than any other study of Waugh to date, works to redress the bias against its subject that is so representative of Stannard's major two-volume account. Douglas Lane Patey is Professor of English at Smith College, Northampton, Massachusetts. His previous books include Probability and Literary Form: Philosophic Theory and Literary Practice in the Augustan Age (1984). He is the author of numerous essays on eighteenth-century and philosophical subjects. 2. The Doom of Youth: Decline and Fall and Vile Bodies. 3. Political Decade - I (1930-1935). 4. Political Decade - II (1935-1939). 5. A Peoples War (1939-1945). 7. A Peoples Peace (1945-50). 8. The Post of Honour is a Private Station (1948-1953). 9. Retrospective: Shaping a Life (1953-66). * Offers a judicious account of a major controversial figure. * Counters bias found in Stannard's standard biography. 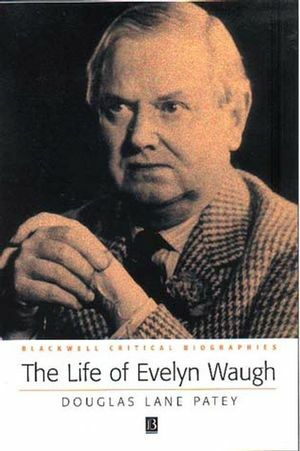 * Provides first truly critical literary biography of Waugh to date. * Maps objectively with great sensitivity continuities in Waugh's spiritual and religious development.